Indian General Elections: The activist, Rupali Patil-Thombare, filed the private complaint in the court of Judicial Magistrate BS Gaikwad on Tuesday. Lok sabha election: Rupali Patil-Thombare said a case should be filed against Smriti Irani for cheating. 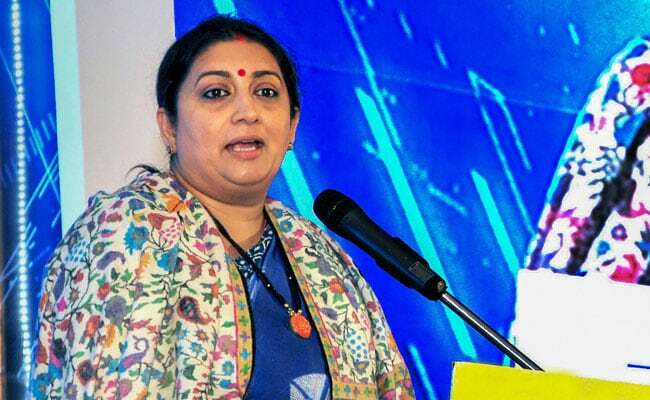 In the affidavit accompanying her nomination for Amethi Lok Sabha seat this time, Smriti Irani did not mention that she had completed her graduation, but in 2004, she had mentioned that she did her BA from Delhi University in 1996, Ms Patil alleged. The MNS activist said that the court has reserved the order on her plea.